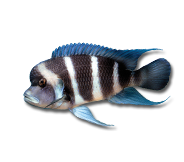 Providing an array of nutritional sources for invertebrates and planktivorous fish is essential when simulating the natural aquatic environment. In the ocean, corals and other aquatic life receive nourishment from a number of different sources and can grab the endless supply of tiny organisms that are floating by. What they choose to eat is really dependent upon whatever comes to them and what fits inside their proverbial mouths. KENT Marine Coral Nutrition products provide the necessary variety of plankton, zooplankton, marine lipids, spirulina and kelp for enhanced health, growth and coloration. 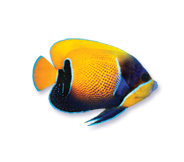 Target-feeding individual animals is the most efficient method to ensure that food will be consumed by the targeted animal and not end up in the filter or skimmer. 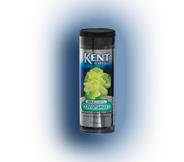 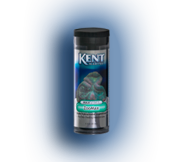 Use a KENT Marine SeaSquirt, to accurately dispense food where it will flow over the animal. 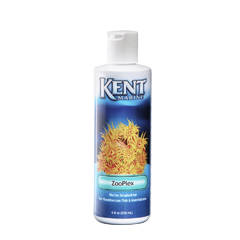 Zooplex is a suspension of whole marine zooplankton containing high concentrations of Omega-3 fatty acids and carotenoid pigments. 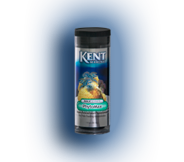 Particle size is approximately 800 microns; ideal for filter-feeding marine invertebrates and planktivorous fish. Surpasses brine shrimp nauplii in nutritional profile.